A Story of Soil looks at two young Australians trying to forge an identity that acknowledges both Vietnamese and Australian values. Tien is torn between her loyalties to her parents and a desire to assert her identity. She runs away with Simon, her troubled boyfriend, to the Australian bush. Tien’s brother, Jonathan, is drawn into violence to assert his masculinity in a society which does not value being Asian. Meanwhile Quynh and Hieu, their parents, must reassess where they are now. “I have always been interested in the mysterious - in things we can't quite understand and yet which tell a larger truth than ourselves. I wanted to tie that sense of the mysterious with the mundane, the ordinary, the seemingly predictable.” – Chi Vu. A Story of Soil makes clear ‘the pain often hidden behind apparently successful assimilation. It also suggests...that new understandings and alliances are happening between members of the younger generation...Soil is used as the metaphor for each character’s yearning to find roots, and this desire is shared by Simon as well, his Anglo-Saxon identity offering no special privileges when it comes to making the difficult transition to adulthood.’ - Helen Thomson, The Age. ‘A STORY of Soil tells a story that is both familiar and strange in contemporary Australia. It is the story of children of immigrant parents adjusting to cultural differences within the family unit, emphasised by generational divide...The first point of friction is always language, and writer Chi Vu skilfully handles the code-switching from English to Vietnamese. The children hold the power here, able to employ whichever language best suits their intentions: Vietnamese for pocket money, English for defiance.’ - Martin Ball, The Australian. ‘Hai Ha provides a strong performance which is complemented by the twists of humour provided by Jonathan (Yen Nguyen), Tien's annoying younger brother. Unable to speak fluent Vietnamese, Jonathan is also caught in a cross-cultural struggle to understand his parents. 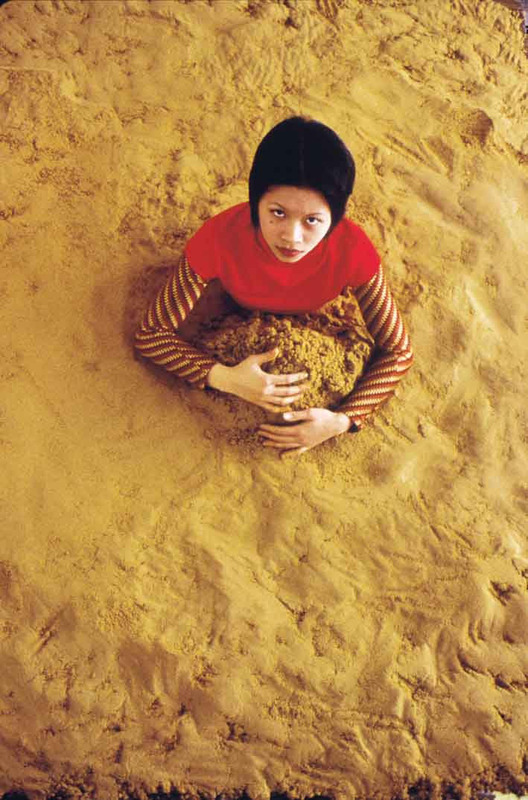 The theme of soil runs throughout the play, providing a useful metaphorical of Tien's connection with Australian soil and culture. Others such as the chats between the uncle and father over VB Beer illustrate that even the parents are influenced by Australian culture. Particularly impressive were the performances by the father (Tam Pham) and mother (Anh-Dao). Their dynamic combination effective in portraying how Vietnamese parents think and react as they witness their children assimilate into Australian culture.’ - Anne Tran, Vibewire. A Story of Soil is available from Australian Plays. It can be performed either in Vietnamese and English, or entirely in English. Photo by Viv Mehes. Actor Haiha Le.